The World Trade Organization is the prime gathering point for the world’s governments of all sizes to discuss and negotiate on policies of the day. 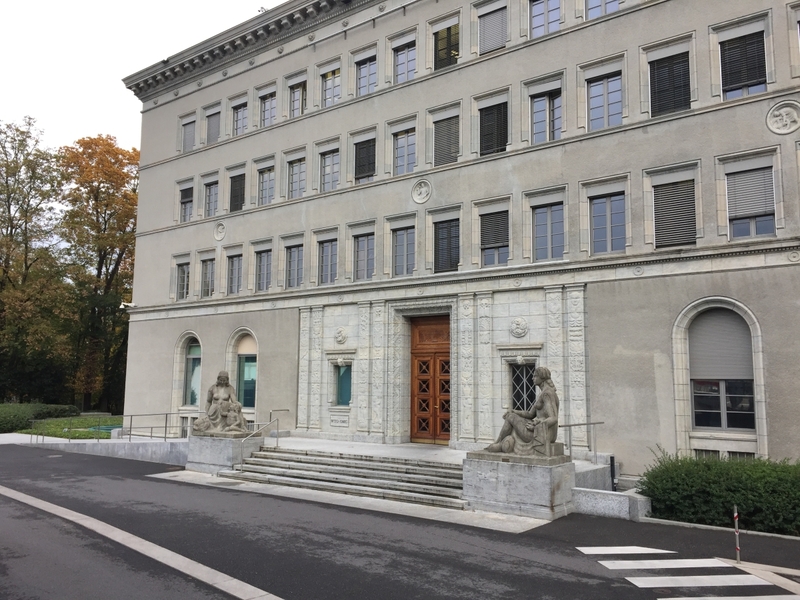 A decades-long swinging pendulum within the WTO’s committee on trade and intellectual property is IP’s contribution to innovation and economy and its contribution to the public interest. At its meeting this week, the committee will feature discussions on both. The WTO Council for Trade-Related Aspects of Intellectual Property Rights (TRIPS) is scheduled to meet on 13-14 February. The meeting is closed to non-observers, including the press. On the agenda is document IP/C/W/650 [pdf] on intellectual property and innovation, a “Summary on the 2018 Theme – the Societal Value of IP in the New Economy.” It is a communication dated 30 January from Australia, Canada, Chile, the European Union, Hong Kong, Japan, South Korea, Singapore, Switzerland, Taiwan, and the United States. It lays out arguments for the importance of IP focused around: IP-intensive industries and their economic impact on society; IP and improving lives; and intellectual property and new business. In some way, the two documents (both of which draw on previous documents) address the same aim – the betterment of society. On one hand, the argument is that IP protection, including trade secrets (which do not allow others to learn from the idea the way patents do), is necessary to give security to innovators to come up with life-improving and life-saving inventions. On the other hand, many in the world are barred from access to these new inventions when the monopoly that ensues from IP protection puts them out of reach. “(1) When dealing with exploitative excessive pricing in the context of anti-trust or competition enforcement in the pharmaceutical and medical technology sector, should competition/anti-trust authorities become quasi price regulators? What are the practices or guidelines that Members have followed to address exploitative excessive pricing in their respective markets with specific emphasis on actions undertaken by competition/anti-trust authorities? (2) What examples of best practice can Members identify on the subject of the control and remedies for exploitative excessive pricing? Are there context-specific methodologies employed by Members for determining if prices are excessive, and what mechanisms are used to remedy and control pricing abuse? (3) To what extent can abusive practices currently prevalent in the pharmaceutical industry be addressed through improving the patent system, by for example, raising the bar of patentability requirements or increasing registration fees? What have Members’ experiences been with these types of measures or other approaches that have been followed? (4) Have any Members recently conducted market inquiries into the pharmaceutical sector to assess its impact on access to medicine or more generally the impact of the pharmaceutical sector on competition in particular market segments? If so, what were the findings and what remedial actions were recommended or taken? Separately on the agenda is an item entitled, “Information on Relevant Developments Elsewhere in the WTO,” under which is document IP/D/39/Rev.1 (Request for consultations by the European Union – revision). This document relates to the EU’s request for WTO dispute settlement consultations with China over technology transfer measures potentially violating IP rights. A sometimes touchy issue on the agenda is “non-violation and situation” complaints, which involve complaints against a WTO member for actions causing economic harm to another WTO member despite not technically violating any WTO agreement. Another sometimes key issue is implementation of TRIPS Art. 66.2, which relates to ensuring developed countries are providing technology transfer and technical assistance to others. The agenda also includes a number of standard and longstanding items, such as: reviews of national implementing legislation; the relationship between TRIPS and the UN Convention on Biological Diversity; and the review of TRIPS Article 27.3 (b), on whether plant and animal inventions should be covered by patents, and how to protect new plant varieties. Protection of traditional knowledge and folklore also appears on the agenda, as does a review of the application of provisions on geographical indications under Art. 24.2. Several members, such as Japan and the United States, have notifications to the Council of changes in their national laws relating to intellectual property. – United Nations Environment Programme (UNEP). "TRIPS Council To Look At IP And The Public Interest, Business Interest" by Intellectual Property Watch is licensed under a Creative Commons Attribution-NonCommercial-ShareAlike 4.0 International License.